Cambridge, England, 1905. Jane Porter is hardly a typical woman of her time. The only female student in Cambridge University's medical program, she is far more comfortable in a lab coat dissecting corpses than she is in a corset and gown sipping afternoon tea. A budding paleoanthropologist, Jane dreams of traveling the globe in search of fossils that will prove the evolutionary theories of her scientific hero, Charles Darwin. When dashing American explorer Ral Conrath invites Jane and her father to join an expedition deep into West Africa, she can hardly believe her luck. Africa is every bit as exotic and fascinating as she has always imagined, but Jane quickly learns that the lush jungle is full of secrets and so is Ral Conrath. When danger strikes, Jane finds her hero, the key to humanity's past, and an all-consuming love in one extraordinary man: Tarzan of the Apes. 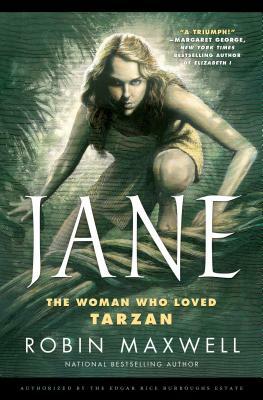 "Jane "is the first version of the Tarzan story written by a woman and authorized by the Edgar Rice Burroughs estate. Its publication marks the centennial of the original "Tarzan of the Apes. ROBIN MAXWELL is the national bestselling author of eight historical fiction novels featuring powerful women, including Signora da Vinci and the award-winning Secret Diary of Anne Boleyn, now in its twenty-fourth printing. She lives in the high desert of California with her husband, yogi Max Thomas.